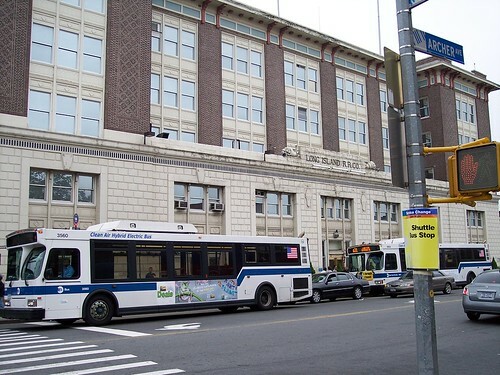 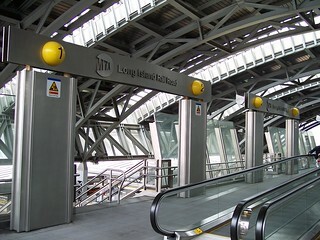 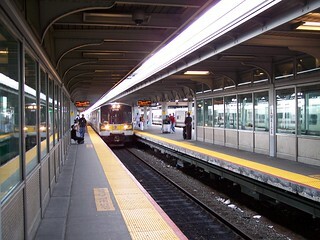 Although the LIRR station building at Jamaica is large, only a small section is used by passengers. 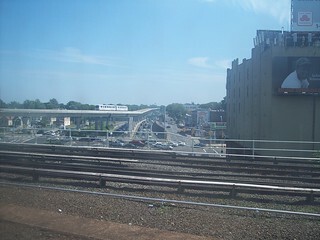 Since almost every LIRR train stops here, many of our LIRR trips ended here. 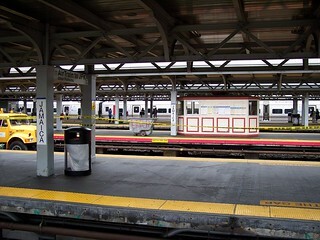 The walkway above the tracks and a view looking across the platforms. 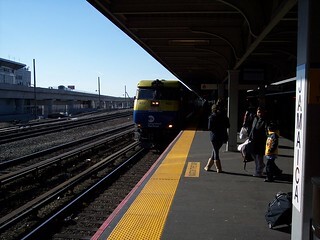 Our train to Westbury arrives, and our train from Long Island City that came to Jamaica via the Lower Montauk Branch prepares to depart for Oyster Bay. 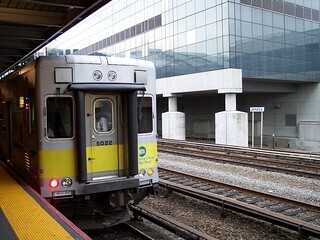 Our train to Babylon via the Central Branch arrives at the station, and from just west of Jamaica we see the JFK Airtrain arriving.